I started my own Cauliflower this year. Everything was going along smoothly, the seedlings were looking good and I spent quite a few days hardening them off. A couple of weeks ago, I planted several out in the garden. The first few found homes in the front yard. I gave these ones toilet paper roll “collars” to protect them from cutworms and other garden pests. The results have been less than desirable 🙁 I can’t decide whether to blame the toilet paper rolls, root critters or the frontyard soil and watering schedule. 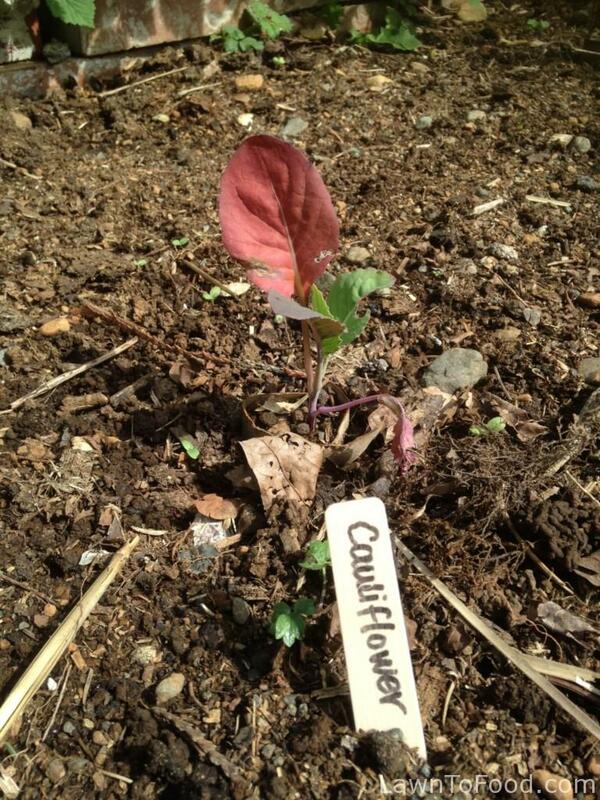 The exact same Cauilflower starts were planted in the backyard on the same day. These ones didn’t have toilet paper roll collars, receive more shade than the front garden and they look fantastic ! Any thoughts on what mistake I may have made? I think maybe cold???? Some things go purple from cold. 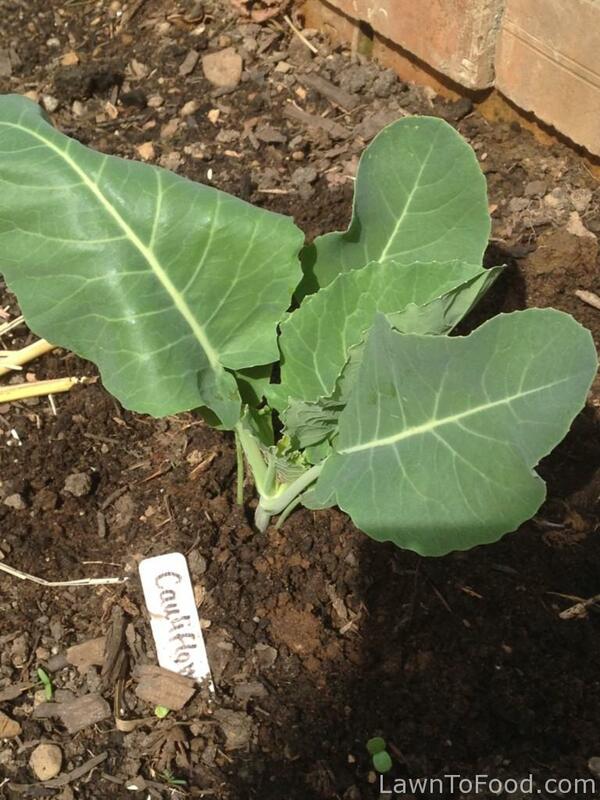 Also, plant some rhubarb in the hole with the starts…keeps the cabbage maggots away. It could be the cold, but may also be the toilet rolls. We have found that some seeds (we only use them for flowers) work very well, where others struggle a lot. I suspect that the toilet roll cardboard may have some impregnated chemicals in them as well, which may not work well with some plants. Purple leaves could also be as a result of a phosphorous shortage.